Documenteering – Page 3 – Collected references, thoughts and observations, from UX Designer Mathew Wilson. I love discovering things that I don’t know. And especially like this, when I wager there are millions of people that know this subject inside out, and who would likely be dumbfounded that I’d never heard of rotary engines before. There’s something comforting about discovering your own ignorance of a largely know subject. Like there’s always more to the world than you realise. More to learn and more to rely on each other for. Can’t do or learn it all alone. Would love to know the story behind it. Who said it was needed. Who they thought it was for. What risks exist without it, and what stats exist to suggest it will help. 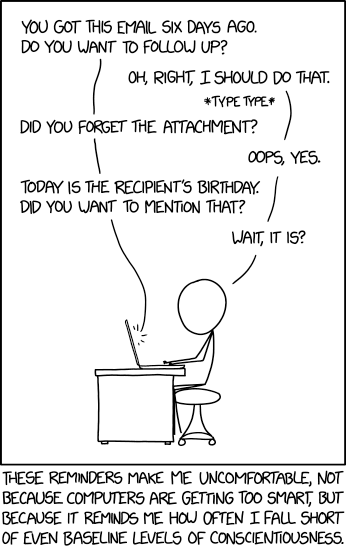 In part, making me yearn again for an app or something that would help me to become more conscientious, rather than just outsourcing or AI-ing it, as per the existence of auto happy birthday wishing tools like this. In a second part, just another small step toward our pending Idiocracy fate. Unrelatedly over New Year, I started rereading Red Mars (first part of a sci-fi trilogy about the colonisation and terraformation of Mars), at the same time as The Woodland Year (a condensed yet very informative guide for managing woodland in the UK, by the inspiringly talented woodsman Ben Law), and I’m finding that they actually share a great deal from a sustainability, bioengineering / biodiversity point of view. Can’t quite figure if it’s coincidence or unconscious planning. Either way, a nice little pairing. Recommended. At first glance, I figured primeurn5.co.uk was a fairly poor website (for a lovely restaurant, so I’m told). The homepage looks broken. Events page is actually broken I think. Map page has a tiny illegible image of a map, that links out to Google Maps. No idea what Western Laundry is. No sign of email or contact details. And then there’s the menu page, with one sentence, “Click here to see our daily menu”, which links to their Instagram, where they post photos of their blackboard menu. What a great workaround for a popular and busy little local restaurant. Why waste time or try even to make time, to update their website daily, or create and upload PDFs. So simple and effective, and, streamed daily into the Instagram feeds of their seemingly substantial fanbase. Examples like this convince me more and more that websites are becoming a rather niche and forgotten platform. Still kind of essential for a business, but more in a meta data kind of way. Simply for SEO purposes, so Google can crawl it, and display the info themselves. On reflection then, I think the website is kind of perfect. Fit for use. Enabled me to book at least. What more could a webpage genuinely do for them? Further to the last post. Form design is a boring area for many, but the opportunity to do great design that people (won’t realise that they) love and appreciate, is huge. No idea if The Art of the Error Message from Spotify rings true to their own error messages (I don’t use it), but it bodes well if so. A very thorough blog post on how to improve UX of web forms. Wondering how I can twist this into my teaching next term. A perfect accompaniment to the page we put together once, displaying the pitfalls and difficulties of bad web form design.